A cosy well furnished house close to the private beach. 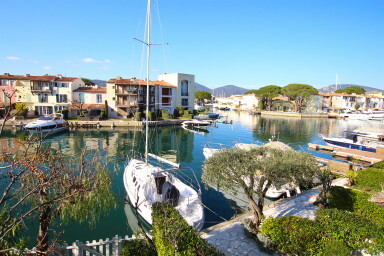 Pretty ostale house in a quiet area of Port-Grimaud South, close to the beach. On the first floor, 3 bedrooms: 1 with a large bed, 1 with two single beds and 1 with bunk beds, and a renewed shower-room. 2 terraces so that you can have sun during the whole day. A 10m x 3,50m mooring.